A possible link between Nexium and renal (kidney) failure has been suggested by a number of recent studies. 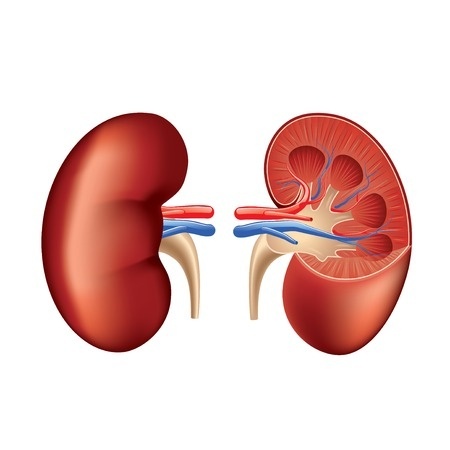 Mounting evidence also indicates that long-term use of Nexium and other proton pump inhibitors could potentially lead to other kidney complications, including nephritis and chronic kidney disease. The nationwide law firm of Bernstein Liebhard LLP is now offering free legal reviews to Nexium users who were diagnosed with serious kidney complications, including renal failure and chronic kidney disease. If you think you or a loved one might be eligible to file a Nexium lawsuit, please call (888) 994-5118 to get in touch with our legal team today. Nexium, dubbed “the little purple pill,” is the most popular proton pump inhibitor on the market. Nexium 24HR is also available over-the-counter. Proton pump inhibitors relieve acid reflux by reducing the amount of gastric acid produced in the stomach. While Nexium is extremely effective, the reduction of gastric acid can inhibit the body’s ability to absorb certain nutrients, including magnesium, which are vital to kidney function. Proton pump inhibitors rank among the most widely-used medications, with more than with 131 million prescriptions dispensed in 2013. While they are intended for short-term use, many people take Nexium and other proton pump inhibitors over long-periods of time, which may put them at risk for serious complications including magnesium deficiency, certain fractures, and serious infections such as pneumonia and C. difficile diarrhea. A growing body of evidence also suggests that long-term use of proton pump inhibitors may harm the kidneys. In December 2014, the U.S. Food & Drug Administration (FDA) ordered that new warnings regarding acute interstitial nephritis, a sudden and severe inflammation of the kidneys, be added to the labels of all proton pump inhibitors, including Nexium. Symptoms of nephritis can occur at any time while using Nexium, and roughly 50% of those who experience the condition will develop kidney failure. In fact, about 15% of hospitalizations for renal failure are the result of nephritis. Bernstein Liebhard LLP offers free legal reviews to individuals who may have suffered serious kidney damage, including renal failure and chronic kidney disease, due to their use of Nexium. To schedule your review, please call (888) 994-5118.